We invite you to visit Blue Valley Eyecare where your vision and eye health are our primary concern. We look forward to meeting you and your family and helping you with all of your optometric and eyecare needs. We offer professional eyecare services provided in a comfortable and friendly environment. Since opening our practice in 1999, our licensed optometrists have offered the highest standards of care and individualized attention. We provide a full range of services to meet your eyecare needs including routine eye exams, contact lens fittings and treatment of medical eye conditions. In addition, we co-manage cataract surgery and custom LASIK vision correction with local ophthalmologists. Customized personalized treatment is our priority. Meet our doctors and learn about our team. We value our relationships with our patients. Ready to take the next step? Schedule an appointment now to visit our office and see one of our optometrists. 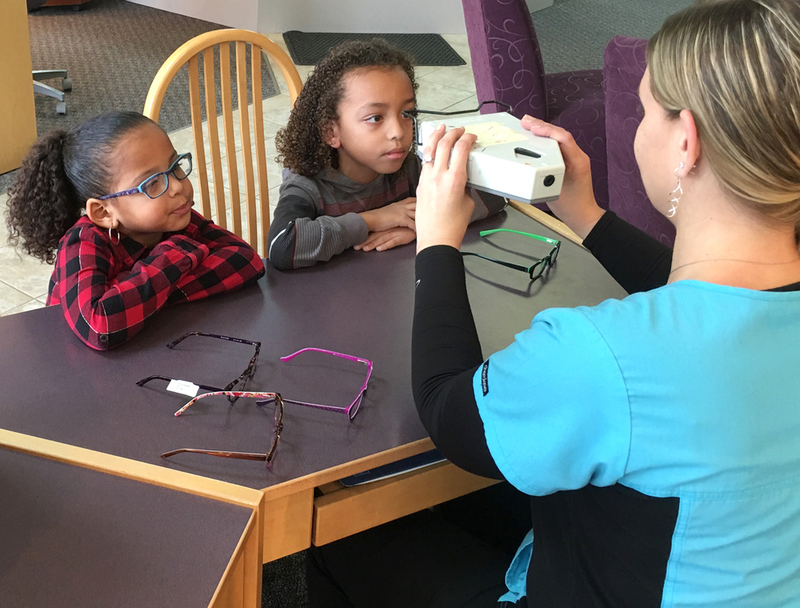 We provide eye exams for children of all ages. Our staff is well trained to evaluate your child's needs and provide the best solution. We offer a wide assortment of children's frames including Flexon, X-Games, Nike, Ogi, Carrera, Juicy Couture, Jill Stuart, Vera Bradley and more. Please do not hesitate to contact us if you are concerned about your family's general eye health, are interested in LASIK screening, hard-to-fit contact lenses, or treatment of eye injuries or infections. We look forward to seeing you! To access your personal health record please follow this link to our partner Revolution PHR. You need to have your personal pin number ready to log into revolution PHR. If you need a Pin number please call our office at 913-814-7707 to verify your patient information.